Providence at Zephyr Ridge is a 208-unit Class A workforce housing community located in Zephyrhills, a northeastern suburb of Tampa, Florida. The property was developed in 2009 and places residents within close proximity to numerous employers, commercial venues, hospitals, schools and shopping located along nearby I-75 and State Road 54. The Tampa metro has enjoyed significant economic growth in recent years with population increasing by 20% since 2000 and jobs growing at over 40K per year since 2014. The community of Zephyrhills population has impressively grown by more than 50% since 2000. 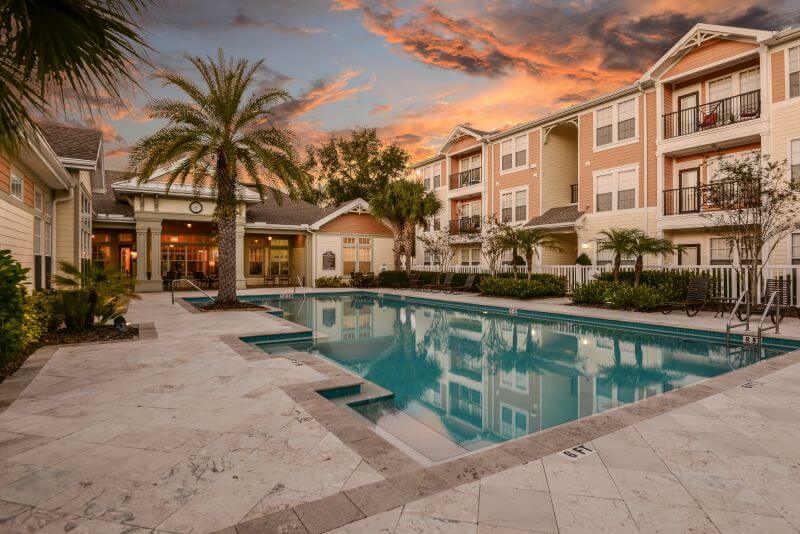 Primary enterprises located within minutes of Zephyr Ridge include: Florida Hospital Zephyrhills, Cypress Creek Town Center, Tampa Premium Outlets, The Shops at Wiregrass, Arnold Palmer Golf School, and The Grove at Wesley Chapel. Zephyr Ridge was developed in 2009 and offers the largest floorplans in the submarket, averaging over 1020 square feet. Apartment home sizes range from 775 square foot one bedrooms to 1314 square foot three bedroom two bath plans. Major community features include a large modern clubhouse, business center, state-of-the-art fitness facility, swimming pool with outdoor kitchen and screened in lanai, children’s playground, waterscaped grounds, outside storage units, and attached and detached one and two car garage options. Interior unit features include 9.5-10’ ceilings, washer dryers, oval garden tubs, microwave oven, linen closets, patios, private entrances, showers, and oversized windows. A moderate property upgrade program will begin immediately after closing and will focus on enhancements and upgrades of the clubhouse, community amenity package, and some unit interiors.